**Disclaimer** Please Consult Your Doctor and a religious leader for guidance for any health related questions and advice pertaining to fasting and The month of Ramadan. 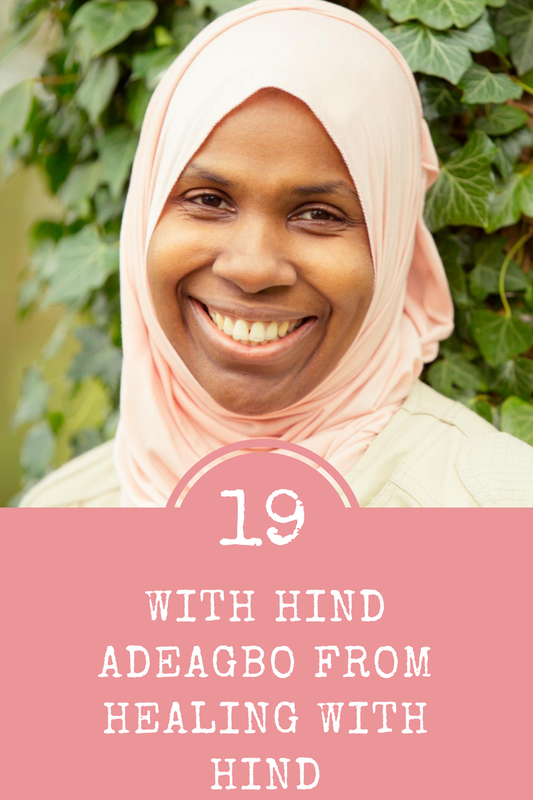 Hind Adeagbo is a transformational coach for mothers and women who want to stop putting themselves at the bottom of the list. She helps them heal their bodies, replenish their relationships, and welcome love and abundance back into their lives. Hind currently runs a membership site, Healing With Hind, where she teaches, coaches and supports women in achieving their personal, relationship, business and health goals. She is a mother of six, a certified doula, childbirth educator, restorative exercise specialist, and IBCLC. She’s also is a trainer of breastfeeding counselors and co-founder of a grassroots mother-to-mother breastfeeding support group. After experiencing a devastating crash to her own health after her last child, Hind retrained as an integrative nutritionist and functional diagnostic nutrition practitioner, transformed her own diet and lifestyle, and grew a successful transformational coaching business. *How She started her business and in what ways she helps women attain a more balance lifestyle starting with healthy eating. *Her tips and Advice for Ramadan Specifically for People who are suffering from Chronic illness and Women who are Pregnant and/or Nursing. *How does she get ready for Ramadan as a Mother of Six and more. http://www.healingwithhind.com https://www.facebook.com/healingwithhind and her Facebook group is also called Healing with Hind. Facebook: https://www.facebook.com/naptimeissacred/ Instagram: https://instagram.com/p/BFSOhl2Oog-/Thank you for listening, don't forget to Subscribe, rate and review the podcast.